Today is author Edith Nesbit’s birthday (born August 15, 1848, died May 4, 1924). 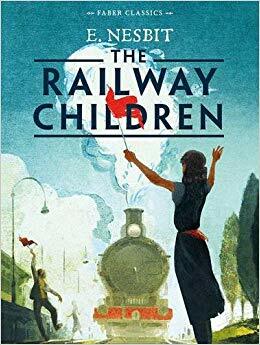 You may know her from her novel, The Railway Children. I had to read her book, The Enchanted Castle, for a Fantasy for Youth course I took in college. The book truly was enchanting! So when I was looking for a blog topic today and found out it was her birthday, I decided to look up information on her. To come up with fascinating stories, it often helps to have a tumultuous life. Here are a few snippets about Edith Nesbit. Edith and her husband, Hubert, were socialists and were part of a socialist debating group called The Fabian Society. Other members included Eleanor Marx (Karl’s daughter), HG Wells, and George Bernard Shaw. The assistant secretary to The Fabian Society moved in with Edith and Hubert, and in a strange turn of events the secretary gave birth to Hubert’s daughter and son, Rosamund and John. Edith took this whole thing in stride and raised the children as her own. Later in life Rosamund attempted to elope with HG Wells, but was stopped by Hubert at Paddington Station. Edith was a believer of Baconianism, the belief that all of Shakespeare’s works were actually written by Francis Bacon. 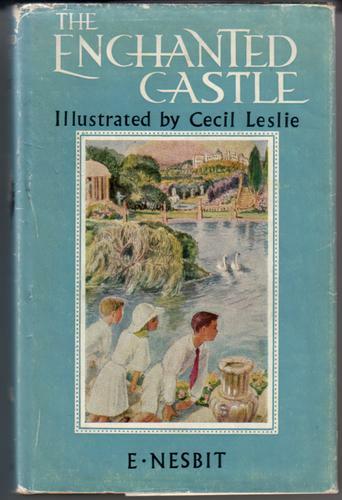 If you enjoy children’s fantasy and you’ve never read any of Edith Nesbit’s books, give them a try. I’ve never read any of books. She sounds interesting so I’d also be interested in reading them and an Autobiography or Bibliography of her as well .